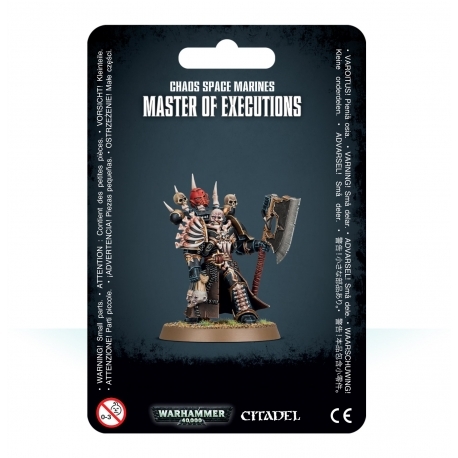 All Chaos Space Marines are deadly combatants, masters of both ranged and close quarters combat, but none - save perhaps the demonic forces of Khorne - are as deadly in melee as the Master of Executions. Tasked with one role and one role only, he is a specialist in his discipline of hunting down and slaying enemy leaders. Once he’s within the ranks of his chosen foe, there’s little that can stop this gore-soaked champion from finding and dispatching his prey. 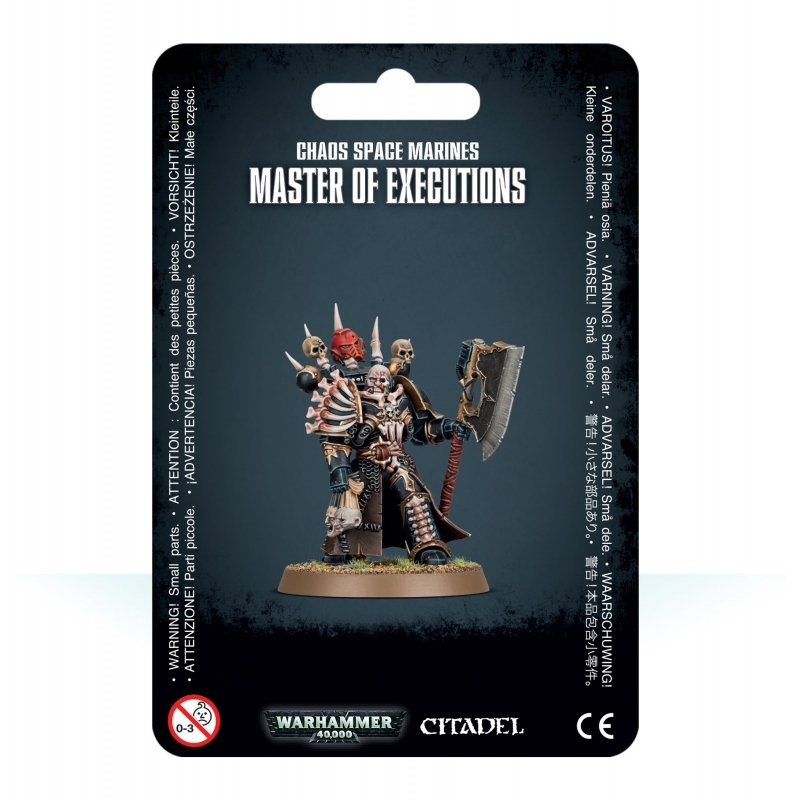 The Battle prowess and efficiency of the Master of Executions make him great for close-combat focused Legions like the World Eaters and Emperor’s Children. By buying this product you can collect up to £ 0.11 with our loyalty program. Your cart will total £ 0.11 that can be converted into a voucher.